There is a place my that daughters and I discovered years ago that has become a special family tradition. Our love of sharing tea together started with my mom, and finding special places for teatime is something my girls enjoy doing with us. 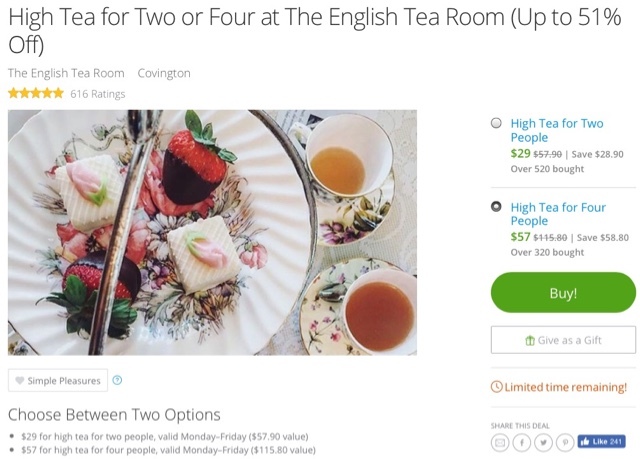 I just found a High Tea special at our favorite tea shop with Groupon Goods! Doesn't this look scrumptious? 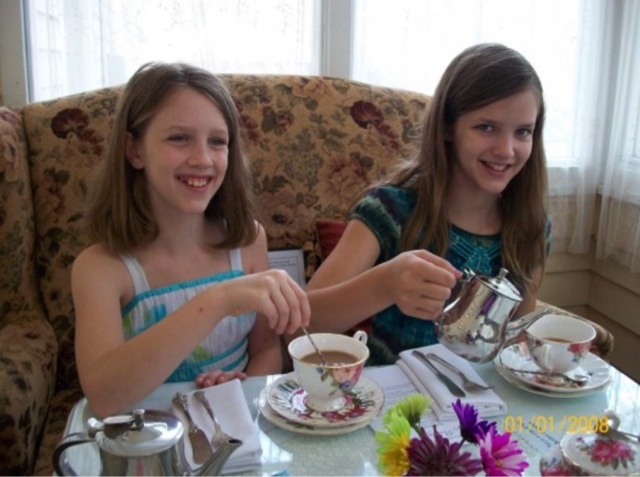 One of my daughters has been asking when we can go back to The English Tea Room, and I can't wait to surprise her. It's guaranteed to be an enjoyable afternoon. This picture was taken at this very same place over eight years ago! As I browsed the offers in our area, so many looked like places our family would enjoy. Fruity sorbet, gourmet meals, and much more were offered for a fraction of their regular price. Groupon offers include much more than food, too. I even found specials for making photo books, so we can look back on our memorable outings again and again. Have you discovered a great special on Groupon? Disclosure: This is a sponsored post for Groupon. All opinions shared are 100% my own.